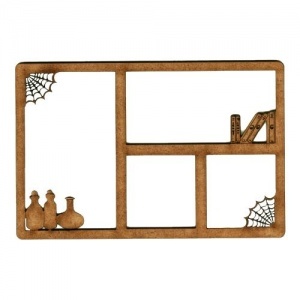 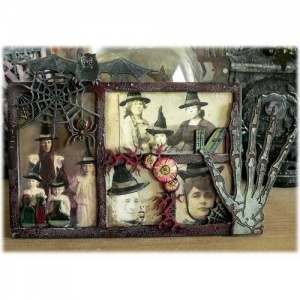 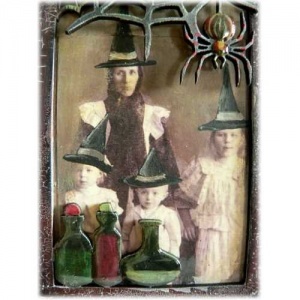 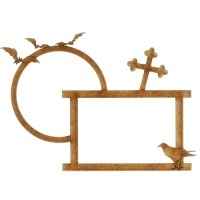 Halloween themed multi frame features an Apothecary Shop window theme that you can add your own bits and bobs to! 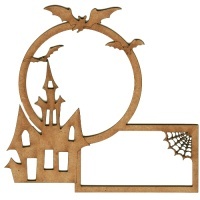 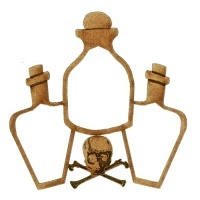 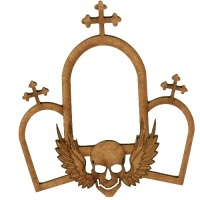 There's a few apothecary bottles, books of spells and potions plus a few cobwebs to get you started, and this design comes with intricate cut out detailing. Makes an ideal focal point on journal and book covers, plaques, boxes, cards or scrapbook layouts - works on any flat surface. 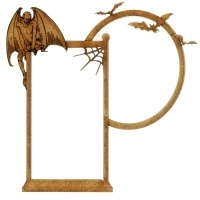 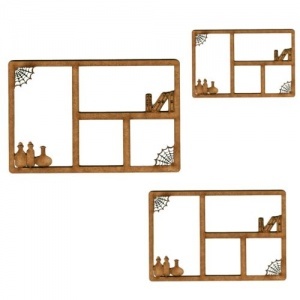 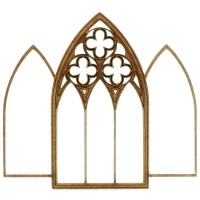 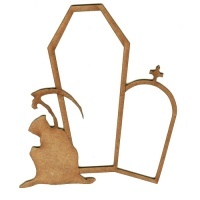 Apothecary Shop multi frame wood shape is laser cut from 2mm MDF and is available in 4 sizes to accommodate most projects - select your choice from the options above.